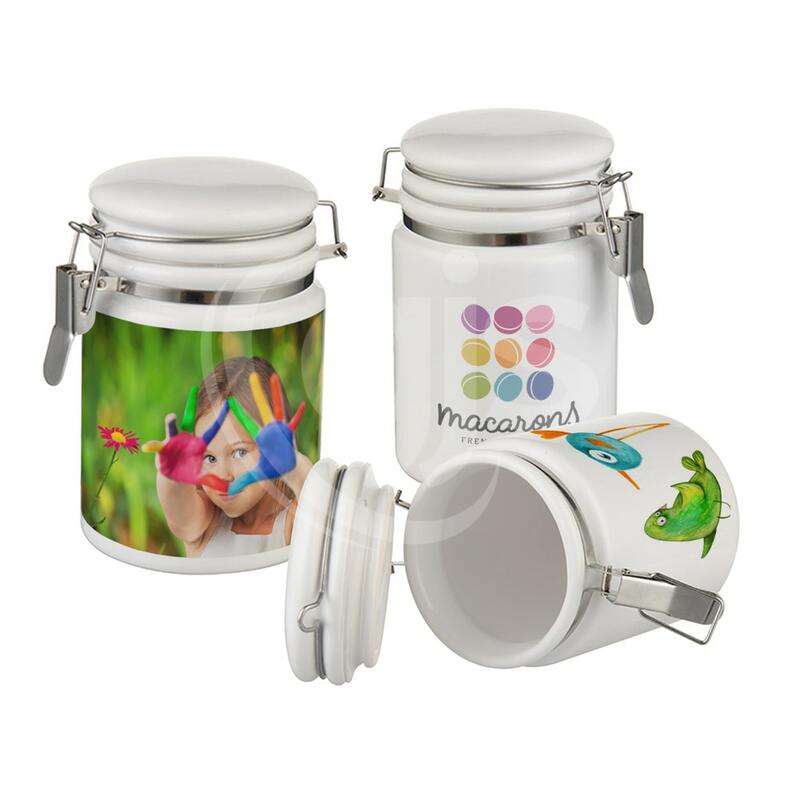 Stylish storage made easy with dye sublimation! 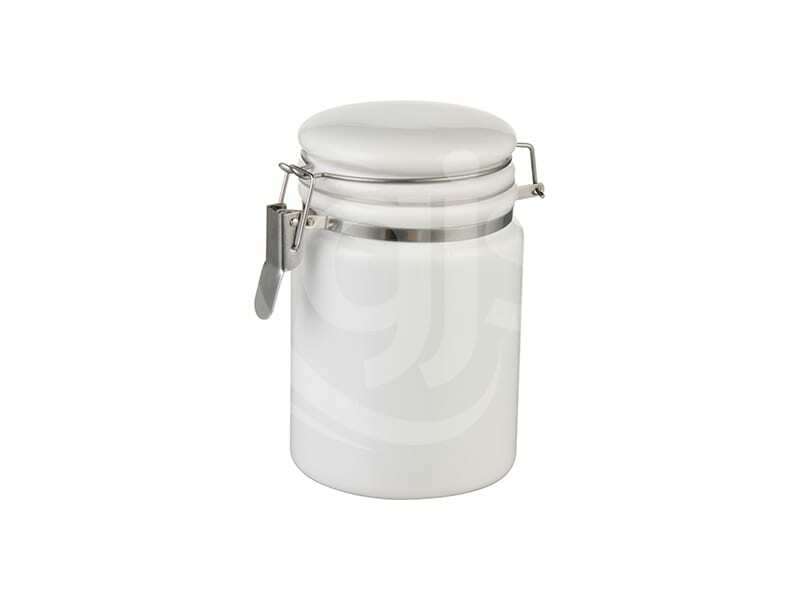 These lidded white ceramic jars, with 14oz capacity and silver bale closure mechanism can become a treasured trinket or gorgeous gift. 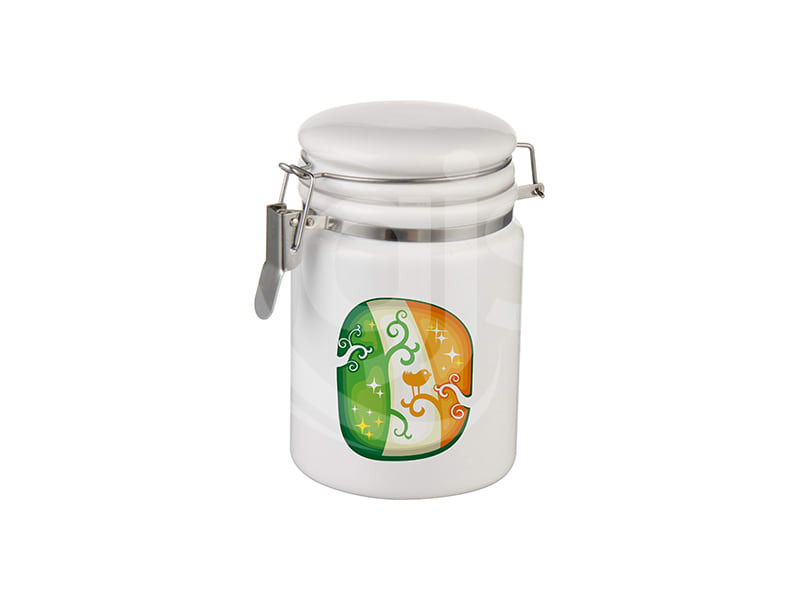 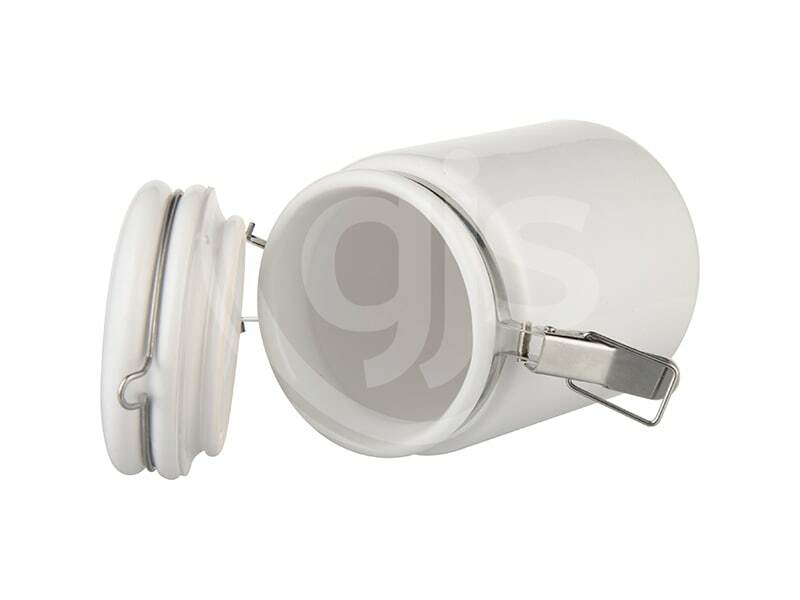 Coated for dye sublimation decoration, the flat white face of these containers are perfect for full-colour decoration with custom designs, promotional branding and logo placement or wrapped photographic images. 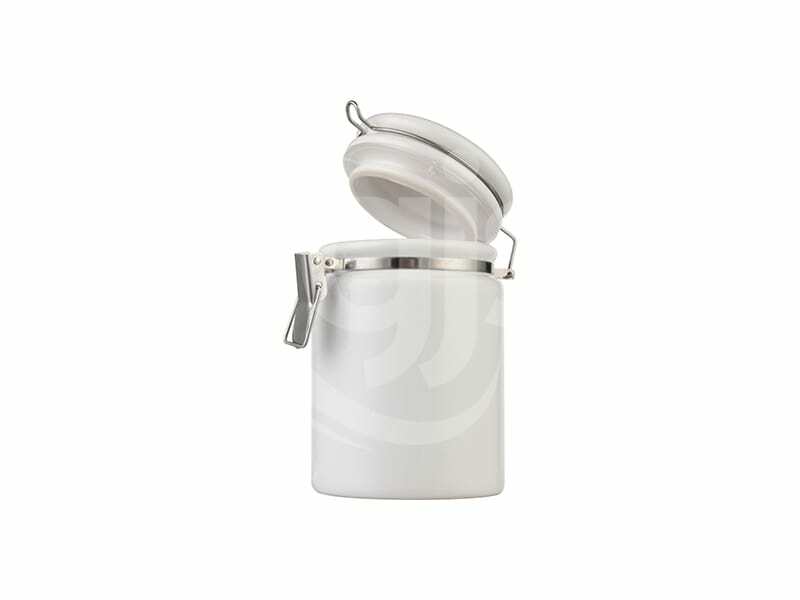 Great for the office, the home or anywhere personalised storage will brighten up your shelves!